'Oriental Bass' is a subgenre, an idea born thanks to the musical experiments started in China by Howie Lee and his crew. A mixture of modern electronic music such as EDM, Future Bass, classic Hip-hop beats and Chinese, Japanese, Korean, Vietnamese traditional music instruments, samples, sounds and atmosphere. Chuck Upbeat started experimenting with this sound by releasing an 'Oriental Bass' EP where he showed Asian inspired music transformed into dance bass beats. The EP was a surprising thing for Global Bass scene traditionally ruled by Tropical rhythms and sounds but luckily it was greeted by many underground producers in USA, Europe and what is more important by musicians from China, Korea and Vietnam. The new EP is another step in this direction. Chuck Upbeat made two original Bass tracks mixing samples of traditional Chinese opera and orchestras. Practically no electronic synths were involved. Instead samples of Chinese sounds were transformed into synths. This approach makes the sound to be really unique. 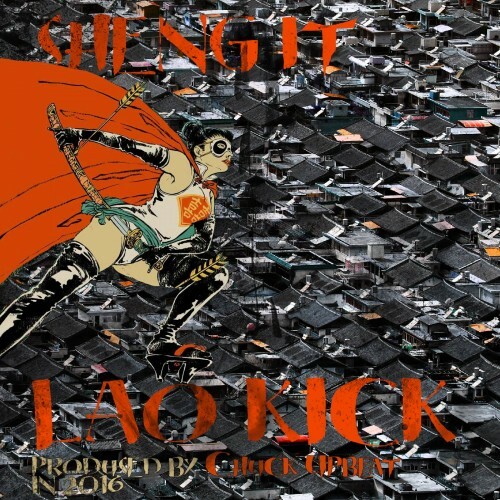 'Lao Kick' is a mixture of EDM and TRAP genres with massive bassline kick and epic Chinese orchestral samples, while 'Sheng It' is a deeper thing to play on dancefloors full of Chinese drums and cymbals with classical Chinese sheng instrument. Global Bass genre shows that there are no genre limits in fact and a true fusion of cultures, rhythms and sounds take this music to another level! exito, me gusta las musica china, buen estilo!! !